Richter and Sion are in a fight for their very lives. Their enemies are circling and the Powers they have awakened are barely under their control. Death and war are on their doorstep, but they have a simple message for the enemies of the Mist Village. 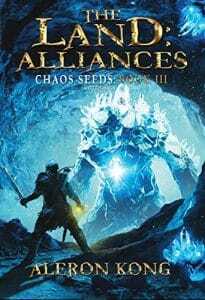 A wonderful blend of humor and adventure, The Land: Alliances will transport you to the world you have always been dreaming of and could never reach… until today.